Okay, I must say that when I first saw this album cover I was like what's up with that? But now I've grown to like it an odd way. But I shouldn't be surprised after all, album covers these days are just whatever. Long time no see, Bruno Mars seems to have been away for a while and is coming back with this new album "Unorthodox Jukebox" on December 11, 2 years after the release of his first album "Doo-Wops & Hooligans". With already released singles such as "Locked Out Of Heaven", I'm pretty sure Bruno Mars will be getting both good and bad reviews from critics with this album. 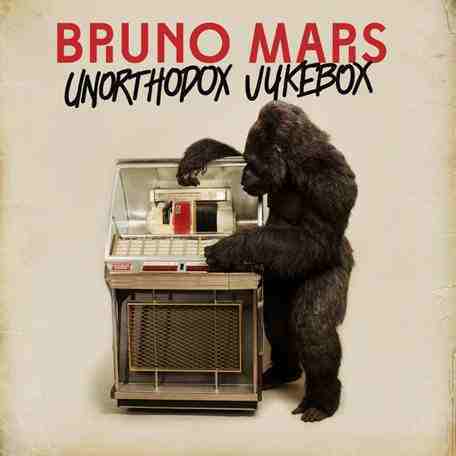 Watch the video to "Locked Out Of Heaven" and check out the tracklist to "Unorthodox Jukebox" both below!